For the first time in his history Nigeria’s most controversial area Fada. Mr Charly Boy Oputa aka Charlie Boy is battling despair over what he termed Financial hardship. Does anyone know how I really feel right now? So alone and empty, God! how I feel the pain. If you’re in the wilderness like me, then you know it can be insane. Here, my eyes are bleeding tears and my smiles are protecting my fears. I can’t even go around and fake happy, because I’m in stagnation and it is hitting me from all directions. There is this disturbing feeling that time is passing me by, yet I’m paralyzed, I can’t move and I can’t think too far. At nights I can’t sleep too easy, my heart is sore and my mind perpetually clustered with things that leave me shaking. Oh!!! God why? I have prayed I have fasted but nothing has changed, it’s almost a year now. My dreams are nothing but nightmares of all the negatives in this wilderness. What’s happening to me? Look at me, I have always enjoyed comforting and giving directions to people in pain, right now I can’t even save myself and I have refused to take my own pills.Na so life be? On top of all of this, I’m so f…..king broke it’s a shame. No! It’s not just that I’m low in cash, but most importantly, it is about being in this state of helplessness, I’m not too proud to ask anyone for favour, but who will believe I need financial help when they have put me on such a high pedestal. Wow, is this a case of Grace to Grass? Who would guess I’m dying slowly when all they can see is my biceps and triceps. I have always been the joy giver, I have put smiles on millions of faces and have inspired and motivated an army of youths, yet I can’t seem to talk myself out of this rot, out of this wilderness,hummmmm!! Why won’t this feeling of hopelessness leave me alone, I know I can do more than I’m doing for now, I know I deserve more. Too many times I have asked God, why me, why do I have to go through this wilderness. I am hardworking, forward looking, positive thinking, so why do I have to suffer like this. Is it the system or is it me, what the heck is this dark cloud that has come over me. I no longer look forward to tomorrow or getting out of my bed, because a new day comes without hope. Nothing seems to make sense anymore; nothing around me inspires me again. I feel like I’m vegetating, I feel as if I I’m glued to this limbo, with no hope of an escape. Now I’m hugging myself, not sharing myself with my loved ones because I am suddenly taking out my frustrations on the people around me. Oh! Lord I must take control of my life; again, I must escape from this wilderness.Does this sound a bit or a lot like your story right now? Are you in that dark place in your life, where everything more or less seems to be grinding to a halt and you don’t know what to do? Well, it happens to the best of us. I have learnt that in all things, one should give thanks. Most of the time we are not entirely grateful for what we possess, because we always believe that we need more than we have right now. If this is the case, we will continue to need more. This cycle will perpetuate as long as our mind believes it’s true. If we focus on what we have and not what we lack, we will always have enough, because it will always be enough. Yes, it is hard to stay cool when things are not sitting right, the way we would like in our lives. We are the ones who lose in the end, if we lose the lesson. Shey you dey feel my yarn? In this wilderness I have learnt that a rich man is not someone who has the most, but someone who needs the least. Yesooooooo!!!!! I’m sharing all this with you so I can feel lighter. We will always have problems, often tested by circumstances outside our control, but we certainly can control our reaction to those situations. We have the power because our inner world (cause) affects the influence we allow the outer world (effect) to have on us. Being in the wilderness is always a result of anxiety about the uncertain future. So, let’s stop and ask ourselves. “What’s the specific uncertainty that is causing you to be afraid” once you have identified that uncertainty, it is usually easier to simply accept its presence in your life, just for the time being. I know that life is about the journey and not the arrival. We don’t need to arrive if we accept that we are already there. Not everyone woke up this morning and not everyone is going to bed tonight. Life has no guarantees; every minute we are living is a blessing that has to be experienced in the moment. It’s not always easy, but it’s always an option or a choice. May be it’s time for him to run to master Jesus. 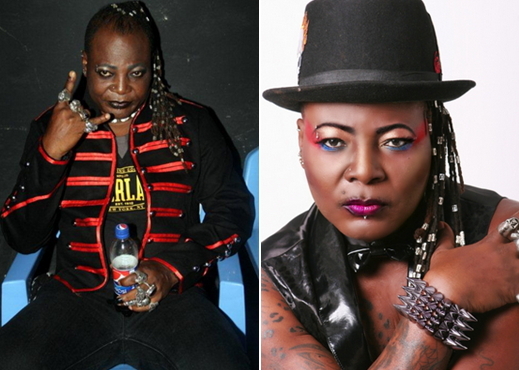 Get well soon Charly Boy. Hw can u dine wit d devil,and think all wil be well wit u? My dear,God loves u,accepct Jesus as ur personal Lord and saviour and everytin wil be fine again. This is a lesson 4 those who woship idol or belong 2 verious cult. Pls come 2 master Jesus and confess ur sin, so dat u may be free ok. I can identify with this man.. Beoause I am going through the same circumstance… It’s scary. But there’s always hope. For u to know that something is lacking in ur life is d road to lmprovment.A man’s life is not stress free that’s d difference btw a man and a boy.loneliness is d best friend that can motive u,majority of friends are 4 good when d wine is free and flows,when d women will be there 4 a show off, Asking for 4 help & direction shows ur willness to bound back with determination.live ur life to please u not them,ur name & who u use to be should inspire u,A hero can never be forgotten no matter their mistskes,u can change ur destiny others have done it.u can nurse a wilderness into a green vegetation all u need is faith and confidence.GET UP right now take a cold shower,shave,trash d pills,eat,clean up,get some fresh air and ask urself what do I really want to do with my life? Ur answer will direct u to what u have to do next.forget about do u know who I use to be make it I AM. are you running out of the same cash that made you sell your soul to the devil, does it mean that devil can not provide you with cash anymore? senceless man, without being told you did not know that devil will promise you heaven and earth just to get your soul? he did that to Jesus Christ and failed, with adam, cain, judas, Abacha, pop john paul,bin ladin,saddam, gadafi and micheal jackson he won. thank your God that you are still in flesh and have the chance to repent now, instead of you to be thinking how to repent you are there talking of cash flowing low and down. I ll say “he who wines and dines with d devil,is a devil”.Charlie shuld try to wine n dine wit JESUS if he needs solutions to his present predicaments.If u made bold to sell ur soul to d devil,make bolder to sell it to JESUS. charlie oputa, choose ye dis day ,whom u shall serve, CHUKWU or momon ? Charlie, it is never too late. Note this [email protected] d devil is never here 2 steal ur money or fame: what d devil is actually looking 4 from u is to have or take ur soul. So, he (devil) uses any/every means to ensure [email protected] ur soul is 4 him. But, if u ar willing to com 2 Christ Jesus who died 4 u 2 hav life & hav it more abundantly, He is equally very much WILLING to receive u as his own because, Jesus Christ is d only solution 2 ur problems right now. He loves u. Read John 3:15-17. Some people are more expressive than others. This does not make them weird. It’s just his own style of being heard. Nigerians wash people too much for faults they themselves occasionally exhibit. Oga charlie don’t mind them can u borrow me N2million naira lol. Give your life to Jesus because it is in him alone you find everlasting peace. To all who preach CHRIST on dis issue sincerely, we shall all not miss heaven. LOVE YOU ALL. Charlie, all you need is Christ. Ask Jesus to save u. Accept Jesus Christ as your Lord and Saviour and you will have peace for your soul. Jesus is the Prince of peace and Lord of lords. Jesus loves you so much, He died for you. So, earnestly ask for his peace certainly, u will get it. Read the following scriptures: Acts of Apostles 4:12; 16:31, Isaiah 53:5 and John 14:6. Jesus is the only way, the truth and the light. Surrender your life to Jesus and look for a living and bible believing church to attend and worship the true and Living God. Pleaseeeee Charlie, Give your life to Jesus Christ. Accept Him as your personal Lord and Saviour. Jesus loves u. Surrender all to Jesus and u will have rest for your soul.